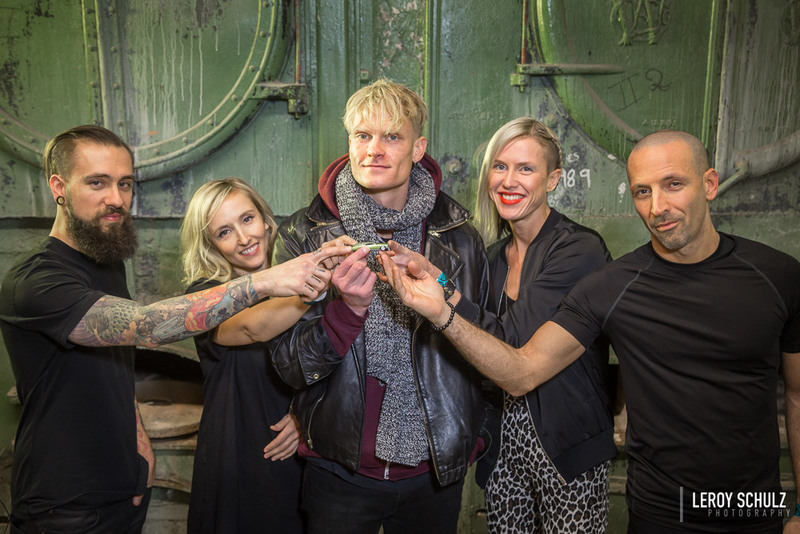 Psyching Up With Mother Mother | Miguelito's Little Green Car. We are all connected. Originally from Heriot Bay on Quadra Island, these rockers are now based in Vancouver, British Columbia. Nominated for JUNO awards three times, they are know for their “trademark quirkiness and radio-ready rock hooks”. Molly: plays synth and sings and does all the design work—album layout, merch, web aesthetic, etc. Jasmin: plays keys, sings, and cuts hair. Jeremy: plays bass, clarinet, and saxophone and is probably the best at manly things like building shelves in the rehearsal spaces, changing tires and putting on chains in snowy passes, etc. Ali: plays drums, percussion, electronic sampling, etc. He’s good for deep conversations about existentialism, spiritual enlightenment and mechanical engineering. Watch their Monkey Tree video below. And Get Out The Way. They started off with the name Mother before renaming themselves Mother Mother. For legal reasons. Molly does all of the design work. Kraft foods used one of their songs for a series of television commercials. Molly is Ryan’s sister. Or Ryan is Molly’s brother. Googling for “Mother Mother” is complicated by random mentions of mothers, like Donald Trump’s mother.